Cassette version for CASSETTE STORE DAY Japan. We will split single with TWEEDEES. This entry was posted in Blog, News and tagged album, bandung, cassette store day, ikkubaru, ikkubaru album, indonesia, japan, record store day, tweedees. Bookmark the permalink. A remix collection individual songs from 1st album “AmusementPark” and EP “Brighter”! Will release on digital at the end of September 2017. 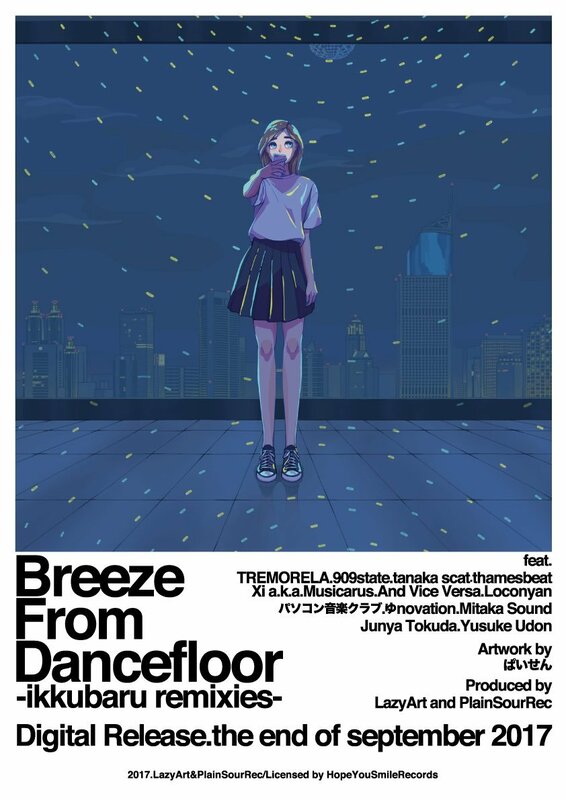 This entry was posted in Uncategorized and tagged album, amusement park, band, bandung, breeze from dancefloor, ikkubaru, ikkubaru album, ikkubaru remixies, indonesia, remix, remix album. Bookmark the permalink. Now available at your local music stores! Order now while it lasts! This entry was posted in Blog, News and tagged album, amusement park, ikkubaru, ikkubaru album. Bookmark the permalink.